The last days of summer are winding down. Many people who have a home on the market during this time or are thinking about listing may be nervous about the reputation autumn and winter have for declining home sales. Just because a higher number of homes sell in the warmer months does not mean the other months do not have people looking to buy. Many families and retirees are still looking for a means to relocate during this time, so never count your house out for a fall sale. If you really want to know how to gain interest for your house during the fall, then here are some handy strategies to use. Fall has the benefit of lots of festivities. Many communities celebrate some sort of harvest festival in the fall. Also Halloween, Thanksgiving and the winter holiday season all come right after one another. Take advantage of this festive spirit by adorning your home with subtle reminders of favorite autumn events. Include brown, red and gold color accents and consider a pumpkin decoration or two. Too many decorations could possibly make a buyer take you less seriously, so make sure you reign it in and do not go overboard. Usually, two or three accents between the front walkway and your home’s foyer or den should be enough to get the idea across. Vibrant fall foliage looks beautiful upon the trees, but less so on your lawn. You should prioritize keeping leaf litter at an absolute minimum, going as far as to rake or blow away leaves before every showing. This task may seem burdensome, but curb appeal is absolutely vital. Leaves are a major distraction when a buyer is trying to assess the overall appearance and upkeep of your lawn. You should also dig up any plants that have been killed off by the first chilly nights of fall. Buyers will not want to be reminded of decay when viewing their potential new home. You can replace them with some fall plants or shrubs from a local nursery; they will usually be having sales around this time. 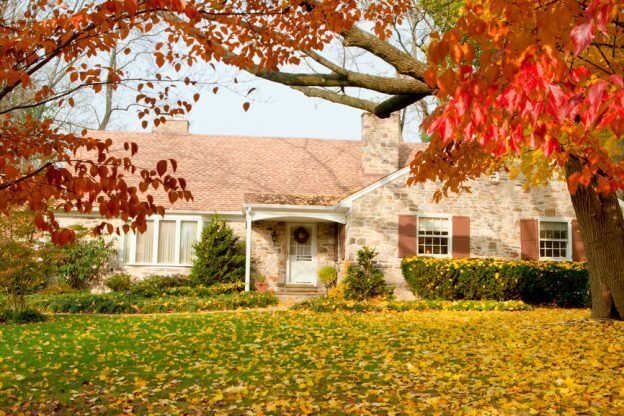 Buyers during the fall will feel pressed for time. The shortened daylight hours mean that they will want to come view a home right after work and they will want to leave before dark. This demanding schedule means that your home has to be available for showing at a moment’s notice. Someone should also be available at almost any time to show the house, so try to keep someone posted at home or close by if you are out running errands or working. Having a qualified Niagara on the Lake Realty agent to help guide you through this process and show your home while you are busy can go a long way towards helping along a fall sale. Visit our selling page to find out how we can assist you. This entry was posted in Blog, Uncategorized and tagged home selling tips, Niagara on the Lake, NOTL Realty, staging tips on September 23, 2014 by wp_admin.